Harvey’s Canada has a new coupon available now! 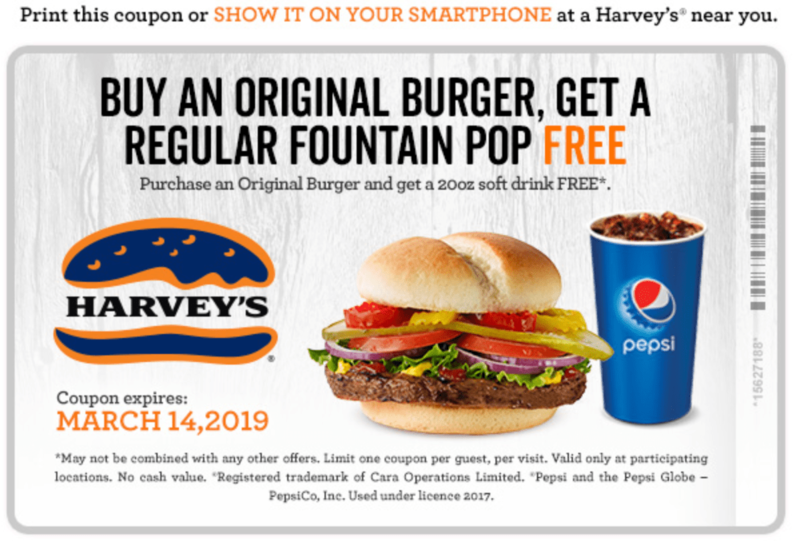 The Harvey’s Canada offer includes: Buy an Original Burger, Get a Regular Fountain Pop FREE at Harvey’s Canada! To claim this deal, either print out your coupon or present it on your smartphone. This offer is valid until March 14, 2019. Offer is valid at participating locations only. Click here to get your Harvey’s Canada coupon.